Iron Maiden is coming back to Utah after 20 years. Their last stop here was in June of 1992. This will be my first time seeing them live. 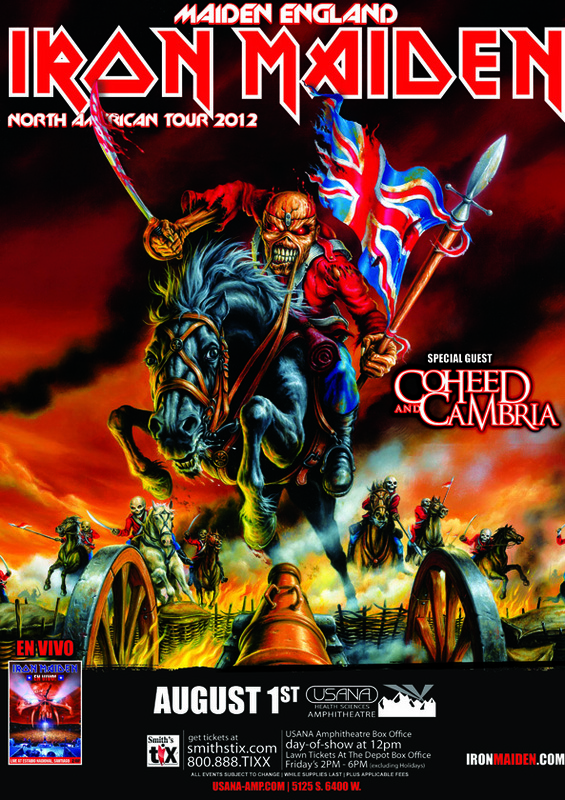 The last time I had tickets to see them was in 2005 when Ozzfest had a scheduled stop here in Utah. But a week before the show, Ozzy got sick and they cancelled the date. This time, it’s going to happen. Link for local ticket purchase. On sale for SLC date is March 3rd at 11am MST. Hands down, one of my favorite concerts ever! Wow. That’s awesome you’ve seen them before. What year was it? Yay, as you mentioned on Twitter, 6th August is my turn. At the most rock and roll sounding venue on the planet: Ashley Furniture HomeStore Pavilion. I tell you, if I knew I could get away with traveling to a concert on my birthday, I would join you in AZ for this show… just to see them twice in the same year… same month.. same week, even. And these venue names are so weird and odd. I understand they need a corporate sponsor, but does anyone think about that before accepting the large sum of money these companies are spending to attach their name?